Paris has long been regarded as a Mecca for interior design, bringing to the world some of the most iconic and respected names in home decor. 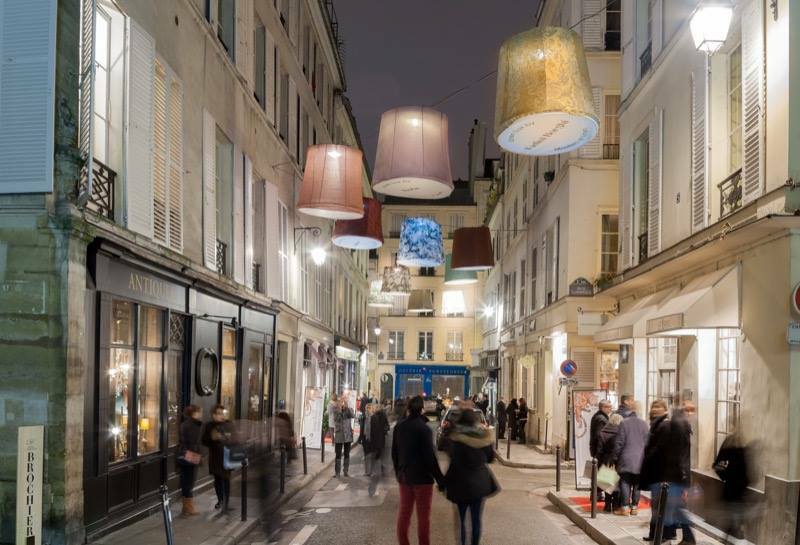 This year, the City of Lights hosted it’s 7th annual Déco Off Design “Rendez Vous”, with 106 brands opening their doors to thousands of visitors from around the world. Elegant fabric-clad lanterns decorating stretches of Parisian cobble-stone streets welcomed design professionals, manufacturers, and enthusiasts to this iconic event to celebrate the global design community, discuss the latest and most relevant trends in textiles and furnishings, and experience firsthand the newest collections by some of the industry’s most recognizable brands. While the event coincides with the mammoth Maison et Object trade show, Déco Off focuses on capturing the bespoke and personal touch so characteristic of the interior design trade. Speaking to Le Figaro, Pierre Frey President Patrick Frey shares, “In our showroom, we welcome everyone as if they were a friend.” This level of hospitality and personal touch have attracted a true global audience, growing from a modest 5,000 visitors during its first iteration in 2009, to nearly 25,000 today. It is a genuine celebration of the elegance, heritage, and spirit of French design, and how its influence reverberates throughout the globe. 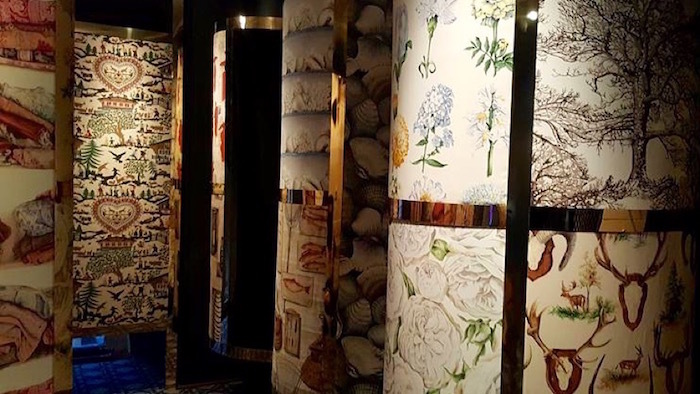 Special presentations at Dedar, a captivating Pierre Frey fabric retrospective at Le Musée des Arts Décoratifs, and a walking tour exploring Parisian architecture, were just a few of countless highlights offered during the week-long event. Among the multitudes of international participants, there is a particularly strong American component to Déco Off. Once a small but vocal group of enthusiastic US brands, American attendees have carved out a special and significant place within the event. They are deeply passionate about and aware of the importance of participating. “It is absolutely the only time in the world that our entire community, from across the US, comes together,” explains Gina DeWitt, Senior Vice President of Showrooms, Sales & Marketing at Kneedler-Fauchère. “Nowhere else do all the US-based players come together in one city, or under one roof.” The numbers have grown exponentially over the years, and include notable designers, showrooms, manufacturers, and members of the media. Representatives from top design houses and showrooms travel to Paris every year to strengthen existing relationships with owners and design directors of European lines, forge new partnerships, develop deeper connections with colleagues, and share quality time with customers in ways that only travel abroad allows. 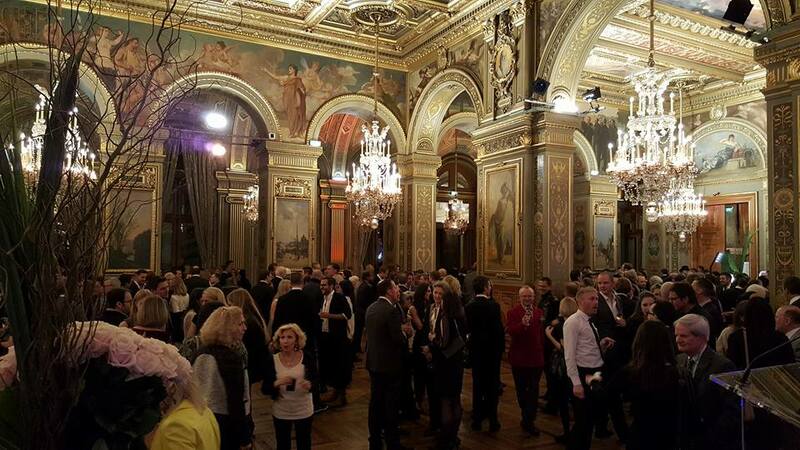 Perhaps the Crown Jewel of this pilgrimage is the American Party, hosted at the breathtaking Hôtel de Ville by a number of leading US brands including PDC’s own Kneedler-Fauchère, Thomas Lavin, and Holly Hunt. The glamorous celebration was attended by nearly 800 of the most influential and notable members of the international design community, and was nothing short of magnificent: a beautiful spread, charming music, and a buzzing crowd of design professionals serving as a vibrant indicator of the pivotal role that American brands play in supporting one of the most exciting design events in the world. Images courtesy of Paris Déco Off 2016 & PDC.